Genre fatigue is really kicking in with these teen future type movies. Hunger Games is the daddy, Insurgent is the poor relative, Maze Runner should be put down, and we won't even mention The Giver! 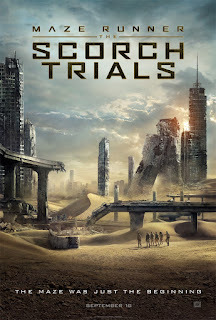 Scorch Trials carrys on from the first Maze Runner movie, and the kids are "rescued", they then spend most of the first half of the movie trusting people who won't tell them whats going on. 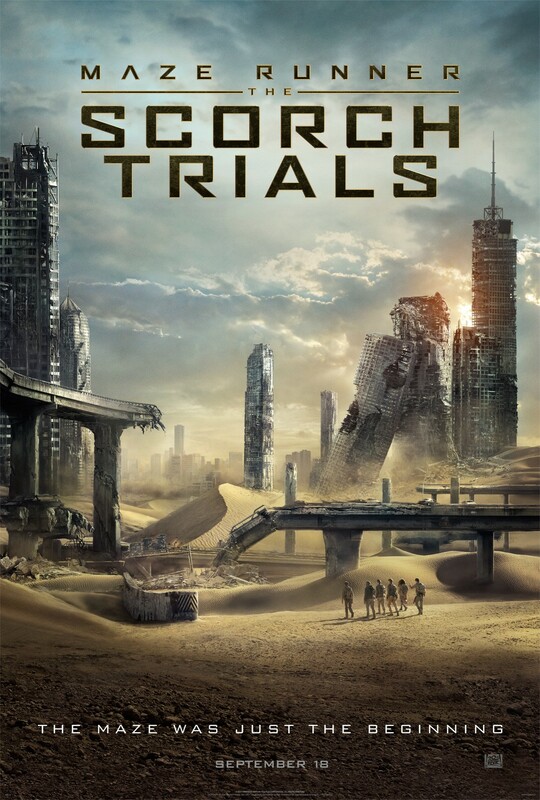 The second half of the movie sees them trudging across The Scorch (or in english, future desert) to reach a band of rebels. Only when they get there they decide to trudge all the way back and seek revenge! Completely boring! The only redeeming feature are the fairly scary chase scenes with Cranks (or in english, zombies), cause by The Flare (or in english, virus). This renaming of obvious simple english terms is still infuriating, this is set on future Earth after all, so why all the "this is what we call..." references? DVD job at best, and probably won't bother with the third film. D-BOX added nothing to this film either! 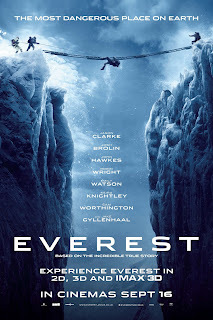 Everest or "idiots up a mountain in a storm" tries to make a spectacle of a disaster that happened in 1996 where several people lost their lives. So yes its a sad and tragic story, but when you know a storm is inbound do you really climb to the top of Everest which is called the "death zone", as its literally too cold and no air to keep you alive anyway. 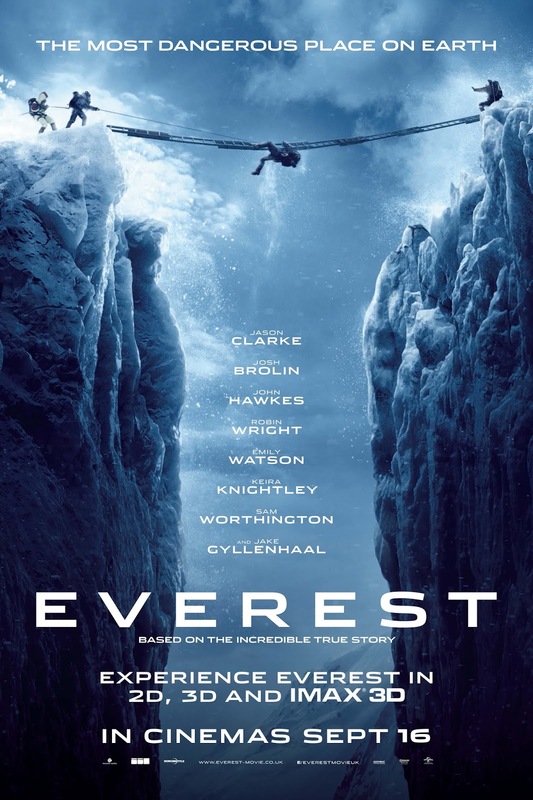 I didn't really feel attached to the characters and you only see a bit of the back story and family life, the bulk of the film is actually climbing Everest. As a result the film felt very long and no real action or tension to break it up, and when tragedy strikes you don't feel the repercussions. The 3D only hit in certain sweeping cinematic scenes. Luckily the IMAX sound was superb, really conveying the strength of the storm and wind. Its worth a view in the cinema though for the screen size and sound impact, but not a great film. This was actually our Christmas present from Keith, but we did it on my birthday, double celebration! 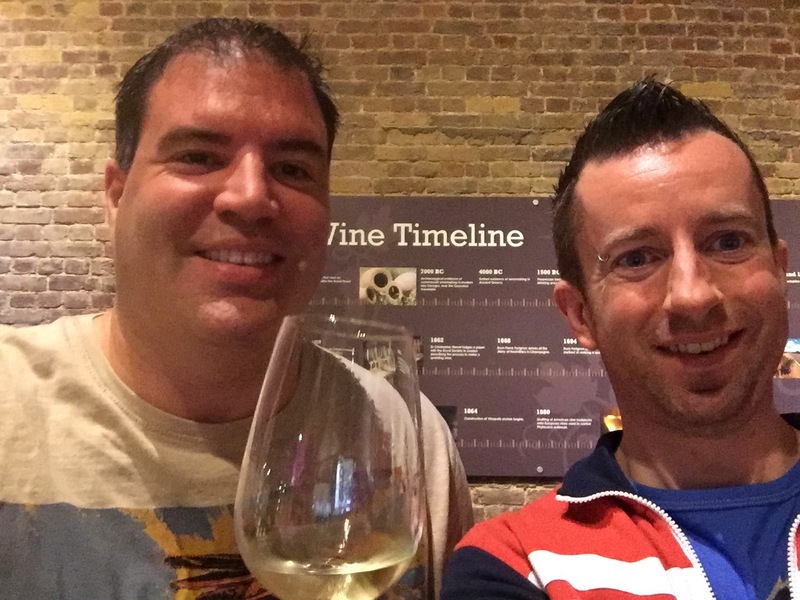 A trip to Vinopolis London, where after a quick wine tasting lesson we were let loose in a room with wine vending machine and 12 tokens! Of course we had to start on the champagne, which was two tokens, and then worked our way through white, rose, red and onto spirits and fortified wines, including our favourite Rubis chocolate wine! Luckily there was also a Wagamama right next door to soak up the alcohol afterwards! After a fairly fragile start for some people (*cough* Carol), we kick the day off with a wedding breakfast and birthday cake, as today is Charlotte's 10th birthday! After several coffees we are ready to hit Paulson's Park, which has certainly changed quite a bit since I last went as a kid! Today Gareth and Sarah finally tied the knot at the Woodland's Lodge Hotel. It was a beautiful location and ceremony, topped off with great food, evening BBQ, disco and being with our best friends.